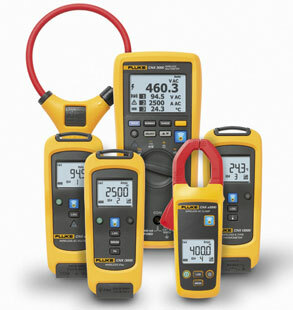 Suitable for industrial maintenance technicians, electricians, control technicians and facilities maintenance technicians, the rugged, customisable tool set allows users to choose various measurement modules based on their specific troubleshooting needs. At the core of the Fluke CNX Wireless System is a CAT III 1000V / CAT IV 600V multimeter with a screen that displays its readings along with live readings from up to three other measurement modules. For more complex troubleshooting, users can view live measurements from up to 10 modules simultaneously on a computer equipped with the CNX PC Adapter.